Xbox has revealed nine more games coming to Xbox Game Pass starting next month in July. This looks to be the biggest batch we’ve received in a while as Xbox normally announces between six to eight games at a time. Among the games joining the service next month are a couple of Bethesda Game Studios classics, and there’s still time for more to be announced. You can read the list of games coming in July 2018 below. 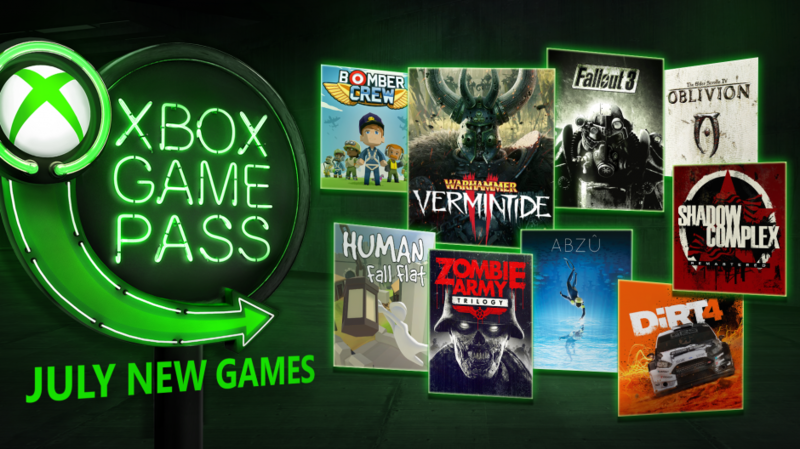 All of these games are joining the service on July 1, save for Bomber Crew and Warhammer: Vermintide 2, which will be coming to Xbox Game Pass on July 10 and July 11, respectively.